Today is St. Patrick’s Day — a joyous celebration of all things Irish…or if you live in America, most likely an excuse to pretend to be Irish and drink green beer. I managed to catch the end of The Daughter of Rosie O’Grady, though, which was Debbie Reynolds first role (as the kid sis in the film). 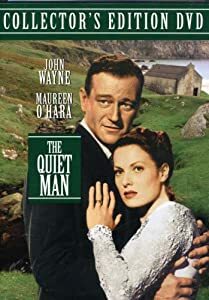 It was a pretty good movie about Irish Americans and the pursuit of the stage. The real St. Patrick’s Day excitement though, was that Disney Channel was playing their 2001 Ryan Merriman (of current Pretty Little Liars potential-Allison-killer fame) DCOM The Luck of the Irish. I love The Luck of the Irish. They really don’t make DCOM’s like they used to. In it, Kyle Johnson (Merriman) attempts to learn more about his heritage for a class project, and gets more than he bargained for when he discovers not only is his mom’s side of the family Irish, they’re actually leprechauns. Like many DCOMs of the day, it’s kind of a silly premise, but it’s a really enjoyable film, and teaches (but does not bash-you-over-the-head) about the importance of knowing more about yourself and your family. Plus Ryan is kind of cute. Admit it! I hope everyone who wanted to found a way to inject a little bit o’ green into your day!